My colleague Ian Heine and I took a deeper dive into these budget items to uncover where the greatest opportunities lie for Canadian tech. The budget eliminated the $800,000 taxable income limit when calculating eligibility for the 35 percent SR&ED enhanced tax credit. By doing so, it accepted a recommendation the Canadian Council of Innovators has been making for several budget cycles. Going forward, larger and profitable private tech companies can invest heavily in R&D and still receive the attractive 35 percent credit (instead of the lower 15 percent rate). 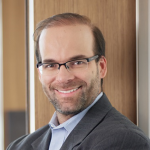 With no national data strategy announced in Budget 2019, it begs the question: is Canada behind on this? This change removes a constraint that punished success by taking away tax relief as companies scaled up. It also recognizes the reality of the R&D cycle, which is one of constant, ongoing refinement, rather than a short window during start-up. The new incentive gives high-growth companies some help in staying upright through various R&D cycles—and that gives them significantly more room to scale up, without the need to manage fluctuations in profits. Companies should actively look at whether they qualify and budget accordingly. Fortunately, tech startups were left mostly unaffected by the proposed change to the tax treatment of preferred stock option grants; employees at larger, mature tech firms perhaps not so much. Under proposed rules, there will be an annual $200,000 limit (based on fair market value of the underlying shares) for employee stock option grants, but emerging tech companies will be specifically exempt. The government will release additional details on the measure this summer, but it’s clear this treatment will not impact an existing narrative: that Canada is a great place to start and build a tech company. It’s our hope that future details will also enforce it being a great place for companies to reside as they scale and expand globally. The federal budget aims to give Canadian tech firms a leg up in the drive to attract global talent by making the Global Talent Stream project permanent. The program reduces waiting time for visas for qualifying high-skilled talent to a mere ten business days, greatly accelerating the talent onboarding process for tech firms. 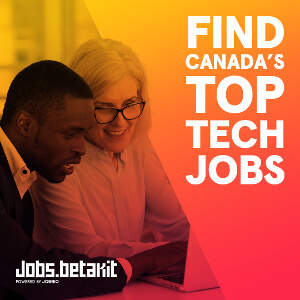 With an estimated 216,000 Canadian tech positions that need to be filled by 2021, the need for such a program is critical. 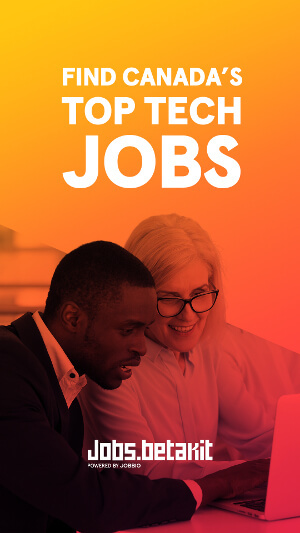 (Indeed: last year, Los Angeles-based CBRE Group Inc. pointed out that Toronto added more technology-related jobs than the Bay Area, Seattle, and Washington DC combined). This program builds on Canada’s reputation as a place where “the best and the brightest” can build a career—a reputation that stands in contrast to some of our global competitors, where talent streams may be deterred due to strict immigration policies and changing visa programs. Futurepreneur Canada, a non-profit that supports aspiring business owners aged 18-39, will receive $38 million over five years (this includes $3 million specifically earmarked for entrepreneurs from Indigenous communities). Combined with matched investments from other partners, the funds will help nurture some 1,000 new entrepreneurs per year. The most significant budget impact on the tech sector may be the $1.7 billion dedicated to the Universal Broadband Fund. Its goal is to build broadband infrastructure for Canadians in rural and remote regions by 2030 by deploying a low-orbit satellite offering high-speed connections to every corner of the country. The Universal Broadband Fund also has the potential to be a “social upgrade” that helps level the playing field between urban and rural areas. Combined with existing infrastructure, this buildout presents an opportunity for Canadian e-commerce and telecom firms, as well as other industries. By eliminating a critical “chokepoint” that has prevented a good portion of the population in taking part in the burgeoning digital economy, the initiative should open a sizeable new market to our online retailers. Beyond economics, the Fund also has the potential to be a “social upgrade” that helps level the playing field between urban and rural areas—an economic divide that has become a socio-political one in recent years. Broadband access makes it exponentially easier to deliver comparable social programs (education and healthcare being two obvious examples) over vast distances, helping to make Canada a more equitable society. Wrapping up, it’s intriguing to consider some questions left unanswered by this year’s budget and think about a few items that were missed that are almost certainly on the tech industry’s “wish list” for next year. The budget’s allocation of $22 million over the next five years for funding the office of the Privacy Commissioner is well-intended—enhancing the office’s capacity and ability to engage with individuals is welcome—but it could have been part of a bigger idea. It begs the question: is Canada behind on this? Like the 2018 budget, this year’s did not include specific commentary on the United States Tax Cuts and Jobs Act. U.S. tax reform was designed to reduce foreign investment by U.S. multinationals, resulting in a loss of economic activity in Canada. An active response to this measure would help bolster the tech industry (and indeed, all of Corporate Canada). Failing to decrease the corporate income tax rate, for instance, erodes Canada’s competitive position with Silicon Valley. Overall, this year’s Federal Budget appears to offer some positive changes for Canada’s tech ecosystem, which we anticipate will help to deliver further growth and development in the sector as a whole. Interested in reading more about the Federal Budget? Check out our budget page for more in-depth commentary and detailed analysis from PwC national taxation and innovation specialists. Or reach out to me directly at darryl.irwin@pwc.com to discuss how you can best prepare for these changes.